The vaccination will take place in areas that were badly hit by the deadly Cyclone Idai. Already five confirmed cases have been detected. The World Health Organization has announced that Mozambique will start vaccinating its citizens against cholera next month. Mozambique is part of three countries in Southern Africa that were hit badly by the powerful tropical storm. Over one thousand people have been killed across the affected countries but there are many more still trapped and in dire need of assistance. In Mozambique for-instance many communities have been submerged, cutting them off essential social amenities. There is no clean drinking water for communities in the port city of Beira. Thousands who have now been displaced have been moved to makeshift camps. 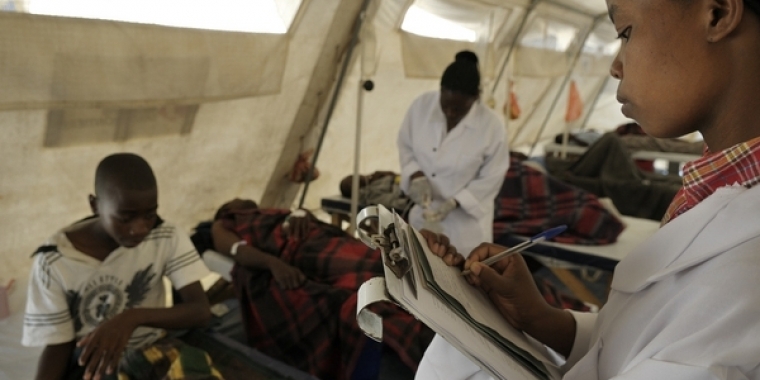 Humanitarian efforts are now focusing on preventing disease outbreaks such as Cholera. A senior member of the WHO’s response team in Beira, David Wightwick told reporters that seven clinics had been set up in Mozambique to treat cholera patients. “We have 900,000 doses of oral cholera vaccines which are coming in on Monday, and we will start a vaccination campaign as soon as possible next week,” Wightwick said. In 2018, some 2,000 people were infected by Cholera but the WHO fears the situation could worsen this time round.